→Chillum Pipe – Is It a Regular Pipe or an Ancient Smoking Device? First documented in the 18th century in India, a chillum is a conical, straight pipe made with clay. It has a channel that feeds through its entirety end to end. They were noticeably used first by the sadhus or Hindu monks. These people of the keen spiritual path used them to smoke different herbs for leisure and spiritual practice. 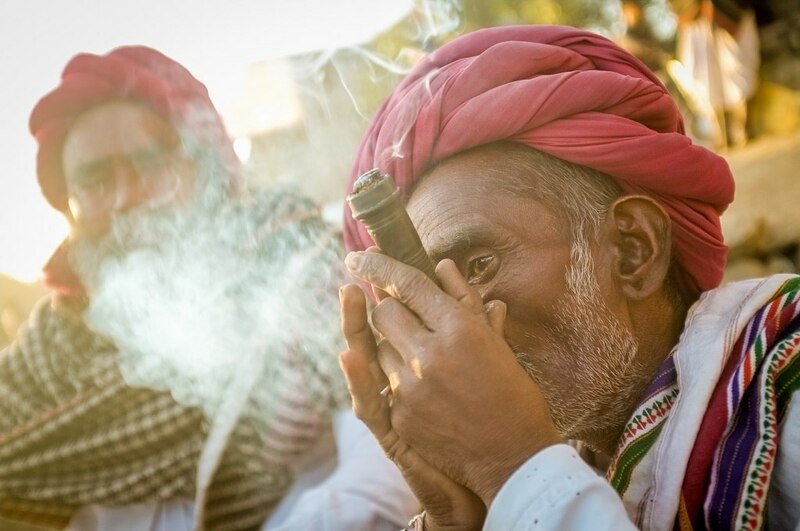 Since then owning the chillum pipe has spread far across the world. Nowadays there are many different types of chillum available including glass, soapstone, stone, wood and original type clay ones. These pipes are often breathtaking and created with intricate designs. Many chillums are handmade as well, and the craft that goes into them is very deep. Modern designs include abstract or Indian swirls and mandala variants as well as specific nature themes. At times the apparatus can change the experience of smoking. The shape of a chillum often allows the smoke to cool before being inhaled which allows you to intake even more than usual. Their portable nature also allows for an irreplaceable sense of security and discretion. These strange looking pipes seem challenging next to the run of the mill joint or pipe. Their presence can be a bit intimidating, but they are simple. The steps below help overview how to properly use a chillum. Step 1: Place the chillum in your non-dominant hand. This means if you are left-handed, place the chillum in your right hand. Step 2: Pack the cone or cup-likeend as you would pack a bowl with ground dry weed or other smoke-able substances such as tea, tobacco or other medicinal herbs. Step 3: Close your fist around the chillum in a firm grasp. Do not cover the end with your pinky, as you will need a proper air flow through the channel and do not over tilt the Chillum, as you want to preserve your fresh pack. Step 4: Place your opposing hand under the other hand to create a tight seal. The space between your hands where the opposite end of the packed bowl is located is where you will inhale from. The placement of your lips is tricky, but with some adjusting, you will be able to get a proper inhale. Your lips will mainly be in contact with your hand and fingers closed around the Chillum. It is okay if it takes some time to find a comfortable position. Step 5: Light your chillum! Traditionally you would take three short puffs followed by a long inhale to get the best effect. It has been noted that cloth may be tied around the mouthpiece or bottom of the Chillum as a filter as well, but this modification is not for everyone. There are many different types of chillum that smokers tend to use. Like mentioned before the best materials to fashion these apparatus’ out of is wood, glass, soapstone, stone or clay. Each material yields a slightly different type of pipe as well as a different experience. Some wood Chillum users have reported that the wood gives the smoke a specific flavor or hint. Other users prefer glass or metal because of size, price or quality. Read on to overview our research into the best Chillum choices. This type of pipe deviates from the normal materials just by a little. It is created with glass and an aluminium casing to prevent any possible breaks or cracks. 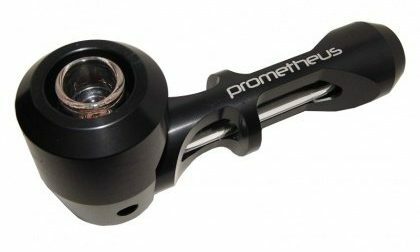 The Prometheus Nano Chillum is durable and able to take a drop without an issue. 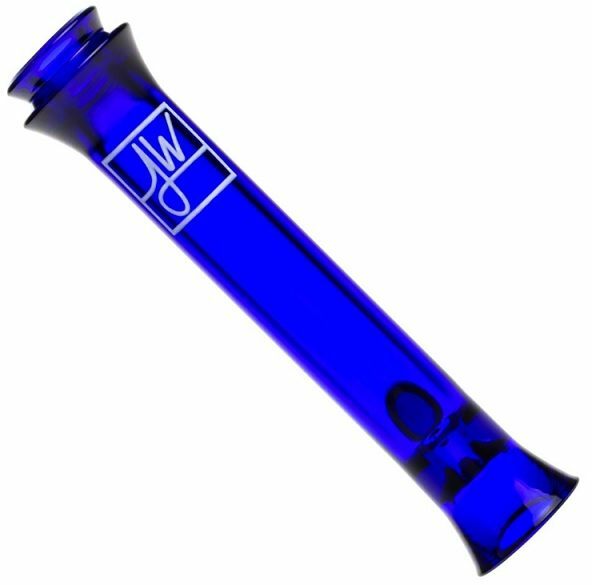 It comes in a variety of colors which makes this chillum brand a favorite, but its price of about $50 makes this product an investment rather than a casual buy. The glass Helix chillum is known for the Venturi chamber. This chamber has tiny holes that point at an angle similar to the biggest section of the chamber. These tiny holes allow fresh air to cool down the hot smoke through a mixing process. It creates a beautiful swirling effect. The only downside is its size, this Helix chillum was only made for one hit. A prettier glass Chillum is cutely called the Watermelon. This pipe lives up to the intricate, beautiful historical standards set by the Hindus. This pipe was crafted with many different shades of pinks and blue to create a rather whimsical look. Its textured design also allows for a firm grip during use to help avoid any drops. The glow in the dark chillum by Grav Lab is another beautiful glass option. It has a traditional shape like the others and has been sculpted with glow additive for a fun effect. The thick glass of the Grav Lab chillum makes it a durable option as well as a good investment. One of the smaller chillum options is provided by the company OG. This pipe is about four inches long making it one of the most discreet sizes. It is made of clear glass and is outfitted for about one hit at a time. The OG chillum is cheap as well, making it an easy replacement if it is lost. These small sizes also make for a smooth, quick toke for smokers that are often on-the-go. On-the-go smokers also like mini bong which is a great portable bong. Photos from: Oskorei / depositphotos.com, paulprescott / depositphotos.com.